In 2013, 72% of Americans surveyed said that print and paper can be a sustainable way to communicate when produced and used responsibly (Toluna and Two Sides, 2013). This was great news and indicated that many people understand the sustainable nature of paper. 1- Paper supports sustainable forest management. The North American paper industry promotes sustainable forestry and depends on sustainable forest growth to provide a reliable supply of wood fiber. Paper manufacturers do this by encouraging forest sustainability through their purchase and use of certified wood fiber and by promoting sustainable forest management policies and practices. By providing a dependable market for responsibly grown fiber, the industry also encourages landowners to continue managing their forestland instead of selling it for development or other non-forest uses. Read more. 2- Sustainable forest management benefits people and the planet. Collecting used paper and recycling it into new products is good for the environment. However, the wood fibers in paper can be recycled only about five times before they get too weak and break down. That’s why we need fresh fiber harvested from responsibly managed forests, too. Using fresh fiber creates a sustainable cycle of high-quality recyclable material to continually replenish recycled fiber. Without fresh wood fiber, recycled fiber would quickly run out and most paper production would cease within months. Read more. 3- Paper is one of the most recycled products in the world. Paper is the most recycled product in the world. Since we began tracking how much paper gets recycled back in 1990, the recovery rate for used paper has increased dramatically. We’re not only recovering more, but we now know how to get the most environmental and economic benefits from using recycled paper in new products. Read more. 4- Much of the energy used in pulp and papermaking is renewable. Nearly two-thirds of the energy used by U.S. pulp and paper mills is self-generated using renewable, carbon-neutral biomass in high-efficiency combined heat and power (CHP) systems. In fact, the U.S. paper and forest products industry produces and uses more renewable energy than all other industrial sectors combined. Read more. 5- The carbon footprint of paper is not as high as you think. For paper products, the carbon footprint includes all greenhouse gas emissions from harvesting trees through the manufacturing process to use and disposal or recycling. A look across this entire life cycle shows that paper’s carbon footprint can be divided into three basic elements: greenhouse gas emissions, carbon sequestration and avoided emissions. Each of these elements is influenced by important characteristics that make paper’s carbon footprint smaller than might be expected: it’s made from a renewable resource that stores carbon, it’s manufactured using mostly renewable energy and it’s recyclable. Read more. 6- Electronic media also has environmental impacts that cannot be ignored. Rather than asking which is better, paper or electronic communication, we should be working to determine which combination of the two has the least impact on the environment while best meeting social and economic needs. As the population and resulting demand on resources continues to grow, a sustainable future will necessarily depend more heavily on the use of renewable and recyclable products and less on non-renewable materials and the use of fossil fuel energy. Read more. 7- “Go Green – Go Paperless” messages can be misleading and may not meet best practices for environmental marketing. Many leading U.S. companies are urging their customers to go paperless with claims that paperless bills, statements and other electronic communications save trees, are “greener” or otherwise protect the environment. Beyond the fact that “go paperless” marketing messages ignore the highly sustainable nature of print on paper – it comes from a renewable resource, is recyclable and recycled more than any other commodity in the U.S. and has great carbon characteristics – these claims fail to meet the most basic tests for acceptable environmental marketing as outlined by the U.S. Federal Trade Commission (FTC) and others. Read more. 8- Paper is one of the few truly sustainable products. Paper is made from a natural resource that is renewable, recyclable and compostable. These features, combined with the paper industry’s advocacy of responsible forestry practices and certification, use of renewable, carbon-neutral biofuels and advances in efficient papermaking technology, make paper a product with inherent and unique sustainable features. Read more. There you have it. Each one of the above paragraphs links to our more detailed fact sheets packed with great information and backed-up with verifiable evidence and scientific reports. When it comes to the sustainability of the Graphic Communications Value Chain, it’s important to separate verifiable facts from opinions and misleading information. Fortunately, Two Sides (www.twosides.us) has the resources that can help. 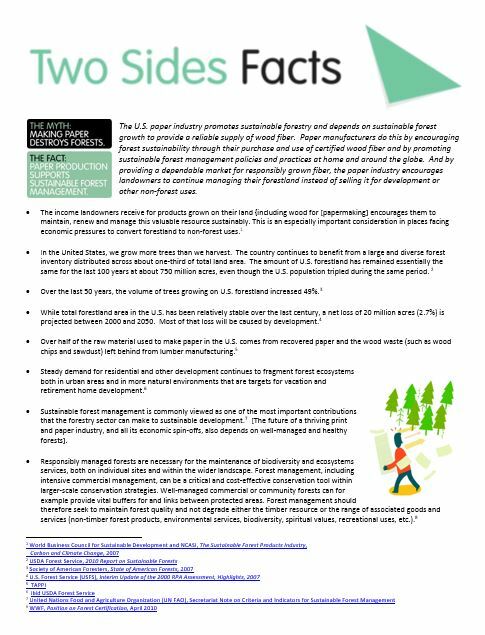 Two Sides has posted nine new 2-page Fact Sheets related to the sustainability of print and paper. Written in clear, easy-to-understand language and including citations to verifiable sources, these Fact Sheets make it easy to understand that print, paper, and packaging have a great environmental story to tell. Led by sustainable and responsible forestry, paper production and printing, the U.S. Graphic Communications Value Chain is working to ensure that, in a world of scarce resources, print and paper’s unique recyclable and renewable qualities can be enjoyed for generations to come. By sharing these Fact Sheets, you can help Two Sides U.S. and its member companies strengthen the paper, packaging, print, and related industries—and make an important contribution to real environmental sustainability. Find more resources, plus information on how to become a member company, at www.twosides.us. Put on your dancing shoes and watch our latest animated video that features some great facts and figures about the important role that paper and print media play in an environmentally sustainable world. This is a great resource for professionals in the Graphic Communications Value Chain who want to share facts and figures, and dispel “greenwashing” myths about print and paper. The video is an animated version of our popular “Eco-Graphic”, a full-color Infographic poster available for download here. The Eco-Graphic was created by Lynette Maymi, a design professional from Pompano Beach, Florida and winner of the Two Sides Eco-Graphic Challenge. Thanks again to graphic designer Marco Morales and the Two Sides US sustainability and marketing committees for their great work and input on the video! Phil Riebel, President, Two Sides U.S. When you work closely with the people and companies involved in the Graphic Communications Value Chain – the papermakers, printers, publishers, foresters, and countless others who make paper products and printed communication possible – it’s easy to see how versatile, practical, and environmentally beneficial responsible production and use of print and paper can be. For the public at large, however, that positive message is harder to see. Working against negative information and environmental misconceptions about print and paper is difficult; I’m sure we have all had moments when we feel like nobody out there understands the true sustainable features of our products. That is why it’s great to find others who are also working to dispel the myths and convey the “good news” about paper and print products and their sustainability. A case in point is a series of articles sponsored by Two Sides member company International Paper. The articles are available online at Triple Pundit, a new-media company with one of the world’s most well-read websites on ethical, sustainable and profitable business. These six highly informative articles were fact-checked by the Food and Agriculture Organization of the UN. They do a great job of conveying the positive attributes of print, paper, and forest products, with a special focus on certification and sustainability. We’ve provided a quick summary of each below, with a link to the full article on the Triple Pundit website. I hope you find them a useful resource. Feel free to share ideas and resources in the Comments section below. “Pretty much anyone who works in sustainable forestry these days will tell you that certification is the cornerstone of a responsible eco-conscious forestry program,” writes Lee. This article outlines the primary and secondary benefits of certification, and discusses the different certification programs available, as well as the distinct benchmarks offered by each. Today, only about 10 percent of the world’s forests are certified, which represents about a quarter of global round wood production. “It’s vitally important for all of us to increase the percentage of timberland that is certified to a credible standard, while also promoting responsible forestry on uncertified lands,” says the author. This article outlines steps business leaders can take to support the certification movement and promote sustainable forestry. Responsible Forestry: Can Certification Save Our Forests? 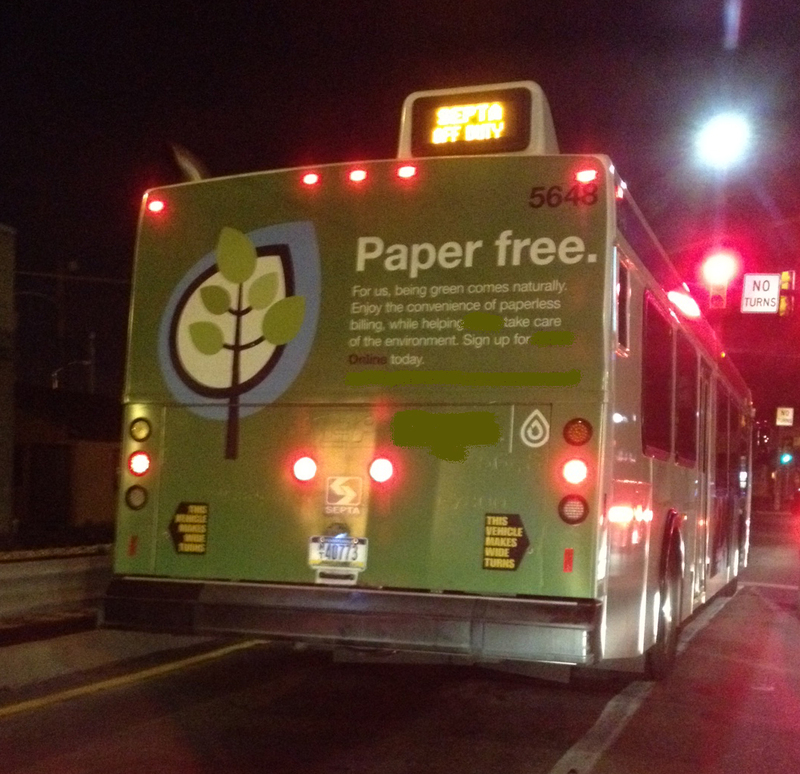 Help Stop the “Go Green – Go Paperless” Bus! Although many of the “save a tree” messages are printed on bills and envelopes, consumers don’t differentiate between different paper products. These messages are a major driver of public perception about all paper and print products. If your company’s business and livelihood relies on print and paper, I can guarantee that this message is not helpful. It’s not only on bills, it’s on websites, emails, Youtube videos… it’s even printed on the back of buses and in bus stops! Major corporate marketing departments are spreading their views on paper far and wide to promote lower cost e-billing and e-statements. These claims are harming our industry and the livelihood of millions of Americans who work in the paper value chain, from the family forest owner to the direct mail company. Watch out not to get hit by the anti-paper bus! As a private forest owner and someone who has made a career in the forest products industry, I have a personal agenda and a business reason to have these claims removed or changed. Based on our recent Two Sides member satisfaction survey, I also know that the vast majority of our members feel the same way. Banks, utilities and telecoms (among others) willingly take our money and, at the same time, their marketing departments spew out “anti-paper” slogans to convince consumers to stop using the very products we rely on for our livelihood! Whatever happened to the basic rule that says “don’t bite the hand that feeds you”? It appears that many Americans are seeing behind the “greenwash”. This was evident from our latest Nationwide survey where we asked US consumers how they felt about the “go green – go paperless” message. 1) Half of consumers surveyed do not believe, feel misled by or question the validity of such claims. 2) 84% agreed that paperless bills and statements are being promoted to reduce costs. In another recent study of paper versus electronic services done by Infotrends on behalf of Consumer for Paper Options, 80% of US consumers said it was not appropriate for companies to cite environmentalism when it is not their real motive. This data is greatly helping our campaign to challenge and remove the claims. As of today, we have engaged with 61 companies, 17 of which have removed their anti-paper environmental claims. Most of our discussions with corporate marketing and legal staff have been productive. Due to the size of the companies and the attempt to “turn the ship”, patience and persistence is key. A progress report on our campaign is available to Two Sides members. “Go Paperless – Go Green” claims still create a misleading view of print and paper products for many people. They link paper to permanent forest loss or deforestation and they suggest that not using paper will save forests. Truth is: Paper comes from a renewable resource and is highly recyclable. US forest area has been stable and growing. There is 49% more wood volume than 50 years ago. Forest loss is caused by urbanization and development, not forestry. In fact, US pulp, paper and other wood products provide an incentive for forest owners to retain well-managed forests instead of converting the land to non-forest use. If our forestland loses its economic value, it will gradually disappear in favor of other land uses. The green claims also suggest that using electronic media instead of paper will help the environment. However, over its life cycle, electronic media has many environmental impacts that are sometimes unknown and often ignored when companies make the switch from paper to electronic. The interplay between paper products and electronic services is complex and depends on many variables. For example, in many cases the use of paper is just shifted to the consumer with 34% of people printing statements or bills at home. The role of Two Sides is to ensure people and corporations receive both sides of the story and the science behind our facts. In the end, it’s not rocket science and many people understand the environmental, social and economic value of paper products. After all, 72% of people we polled said that when print on paper is responsibly produced, used and recycled, it can be an environmentally sustainable way to communicate. Does My Company Need a Sustainable Paper Procurement Policy? 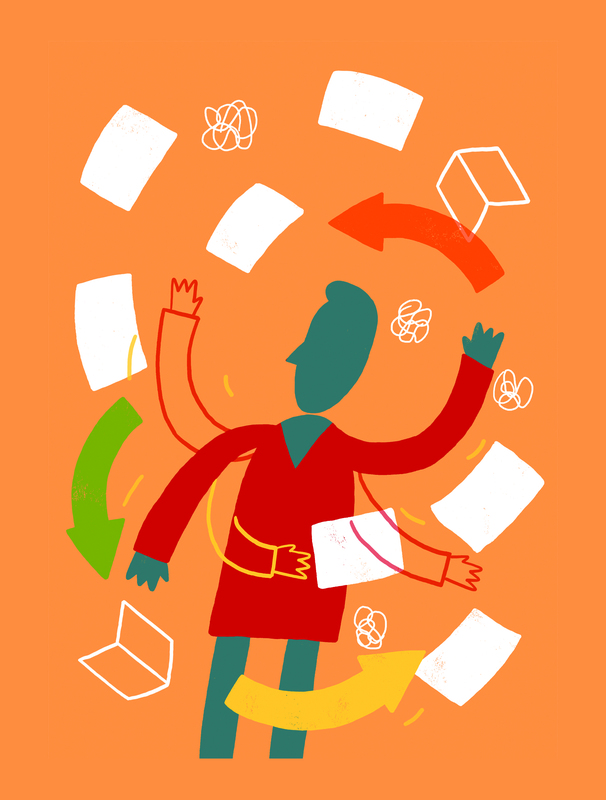 As little as 10 years ago, sustainable paper procurement policies were rare – crafted by a few forward-thinking companies that traditionally move ahead of the curve on sustainability issues and companies that were publicly engaged by environmental groups. How times have changed! Paper consumers, especially large commercial print and paper buyers, are now a driving force in the responsible production, use and disposal of printed media, using sustainable paper procurement policies not only as a tool to green their own supply chains, but also to advocate continuous environmental performance improvement throughout the paper life cycle. The “why” is simple. As global mega-companies like Walmart, Proctor & Gamble and Unilever drive sustainability deep into their supply chains, demonstrating a commitment to responsible sourcing, production, use and disposal is quickly evolving from an option to a requirement for doing business – including paper-related business. The bottom line: do it now or get left behind. A sustainable paper procurement policy spells out your company’s commitment and provides an effective way to concisely communicate it to your customers and other stakeholders. It also provides a framework for delivering on that commitment, guiding your company toward continuous environmental performance improvement and encouraging your paper suppliers to take next steps in their own sustainability. 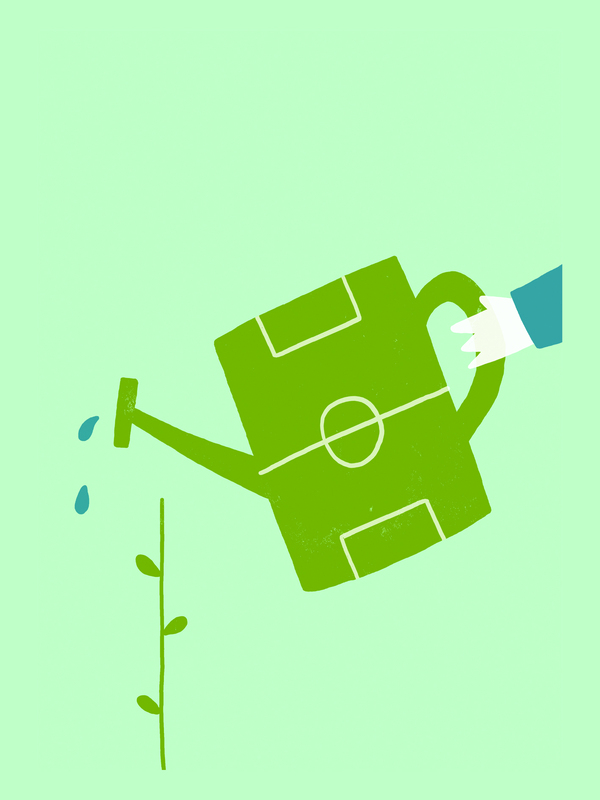 The ultimate result: your company contributes not only to its own long-term success, but to real environmental progress! The “how much” depends on your current practices and programs. 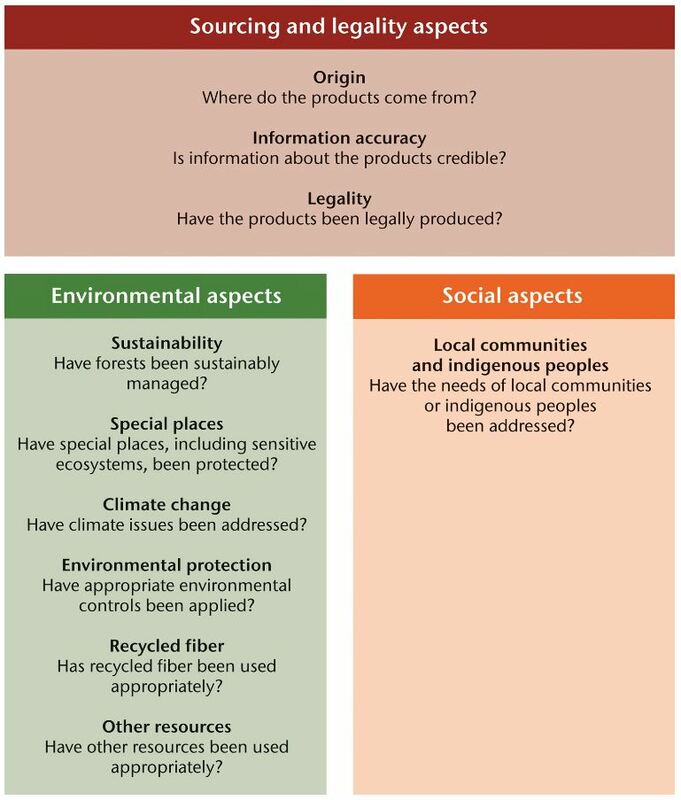 When estimating the cost of putting an SPP policy in place, companies are often surprised to find that they are already doing many of the things a policy will entail, like requiring that all their paper comes from legal sources, that they support third-party forest certification and use only paper that is certified or comes from non-controversial sources, and that their suppliers’ facilities have certified environmental management systems in place. An SPP policy validates those initiatives already in place and helps focus them in a way that sheds light on opportunities for improvement. With that said, SPP policies are designed to encourage continuous performance improvement across the paper life cycle, so long-term credibility requires setting some stretch goals. Some companies include goals in their policy and revise them periodically as appropriate; others develop separate action plans. Any additional financial commitment, of course, depends on how ambitious the goals are and the path a company chooses for achieving them. To truly benefit the environment, SPP policies must be life cycle-driven, including common elements related to sustainable forest management and certification, resource conservation and environmental protection in the manufacturing process, energy conservation and greenhouse gas reduction, waste management, recycling and corporate social responsibility. The specifics, however, can vary widely by company and depend on a variety of factors ranging from an organization’s overall sustainability strategy and supply chain to the grades of paper purchased and end uses. Once a policy with supporting goals is in place, it’s also important to be transparent in reporting progress. If your company is ready to develop and implement (or update) an SPP there are lots of resources to help you get started. One of the best resources is the World Resources Institute’s Sustainable Procurement of Wood and Paper-based Products (Version 3). Focused on the 10 Things You Should Know about the legal, environmental and social aspects of procurement, this detailed guide is designed specifically for companies that do not have in-house forest and forestry expertise. For a shorter overview, check out Volume 1 of Sappi’s white paper series, Environmentally Responsible Paper Procurement Policies. Finally, don’t be shy about taking advantage of others’ efforts. Like any process, developing a sustainable paper procurement policy will be a learning experience. Talk with people who’ve actually gone through the process and ask lots of questions. While no two companies or policies are exactly the same, hearing the experience of others may spark ideas you wouldn’t have otherwise considered and may help you avoid missteps that could come back to bite you. CHICAGO, June 26, 2013 – Two Sides today announced its Ecographic Challenge, a contest to develop an engaging infographic that clearly presents facts about the sustainability of print and paper. The contest is open to amateur and professional graphic designers who are U.S. residents and are at least 18 years old at the time of entry. Individual and team entries will be accepted. Two Sides will award one $2,500 cash prize to the winning individual or team. Entries will be accepted until 9 p.m. EDT on August 16, 2013. The winner will be announced at the Print13 Conference in Chicago on September 10, and will be acknowledged in all published versions of the ecographic. Please visit http://www.twosides.us/Two-Sides-Eco-graphic-Challenge for complete rules, ecographic specifications and an entry form. Support for the Ecographic Challenge is provided by the following Two Sides members: Ariva, Boise Inc., Domtar Corporation, Lindenmeyr Munroe, PrintMediaCentr, Unisource Worldwide, UPM and Western States Envelope & Label. 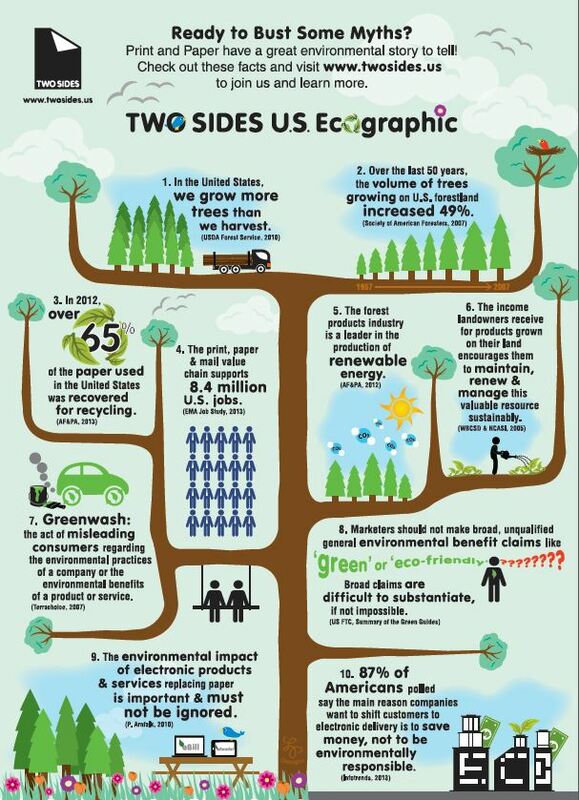 For more information about the Two Sides Ecographic Challenge, please email infographic.twosidesus@gmail.com.